It has not rained in Singapore since the middle of January which is apparently one of the longest dry spells since someone told Mr Raffles to keep a rain diary 'because it might come in handy one day'. The trees are shedding their leaves, plants are dying and our garden looks like a jigsaw puzzle of hardened clay. 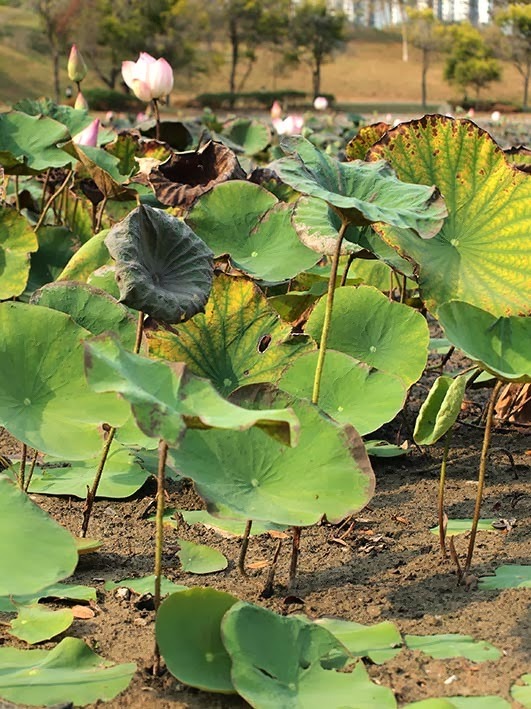 Some of the lakes in the Japanese Garden in Jurong East have been reduced to muddy pools, although the stems of the lilies surprisingly have enough strength to hold their sun-baked leaves off the ground. The fish have reduced space in which to play, but the mud-hoppers have lots of lovely mud in which to frolic. The birds wearing muddy shoes are thriving in the fish-laden puddles. 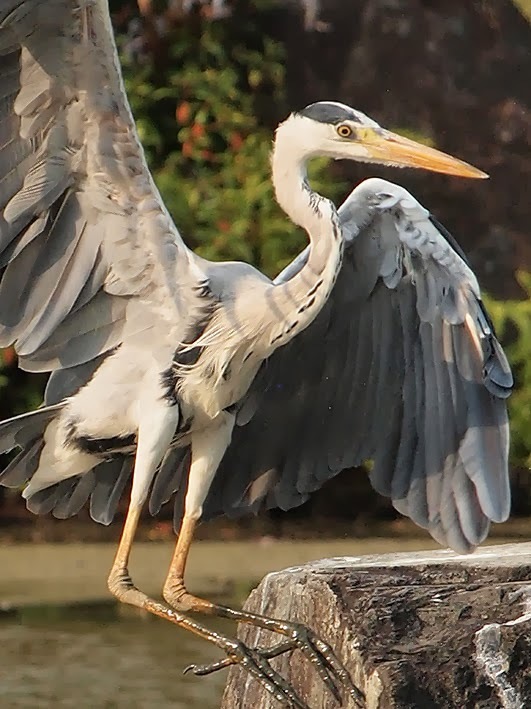 I watched an Egret and Grey Heron playing in the shallow water in front of a couple of chaps with enormous camouflaged camera lenses that practically touched the birds from the bank. One of the cameras fastened to these telescopes had the noisiest shutter I had ever heard. 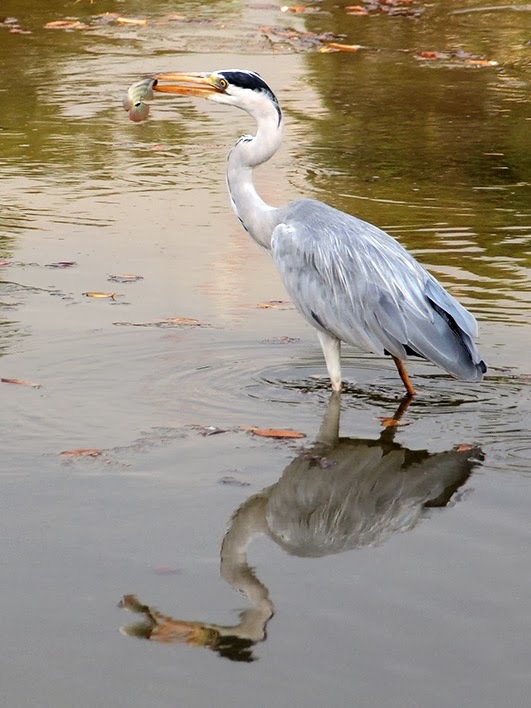 At one point, the Heron walked along a row of bricks in the middle of the lake that were blocked by a couple of basking turtles. It paused for a moment, pondered the situation and then decided to flap over the obstruction before continuing to the end of the bricks. 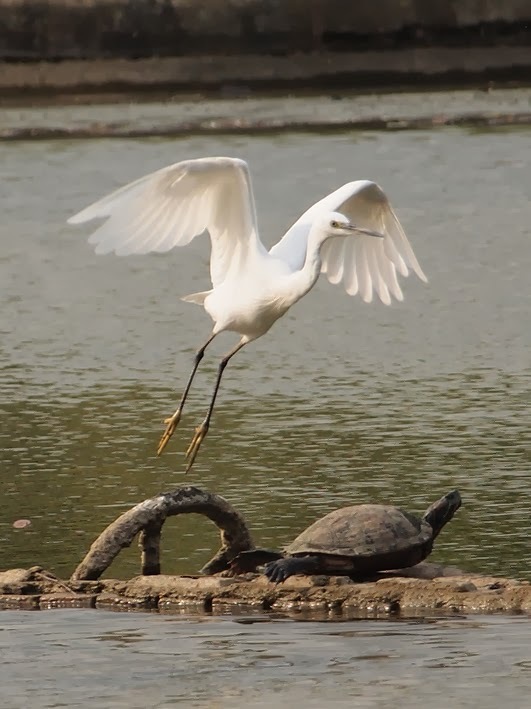 Not to be outdone, the Egret then tried the same manoeuvre, perhaps with a little more finesse. The rest of the garden was absolutely deserted on this Sunday afternoon; Egrets easily outnumbered the public. As the sun dropped behind the trees however, multi-generational families appeared in small groups, workers in their Sunday best clustered on the grass listening to tinny music on mobile phones, runners plodded, couples canoodled and one person who had intended to go sketching thought he’d better go home in case his wife was missing him. Turns out she wasn’t.